your holiday party even more fun and memorable. 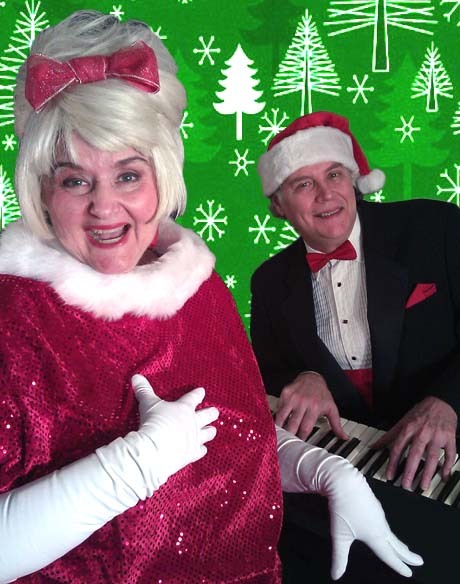 Mrs. Santa is out and about while "Mr. Big" (Santa) and his "Mad Men" (the Elves) are busy back at the North Pole corporate office... and she has a Christmas Wish List of her very own! 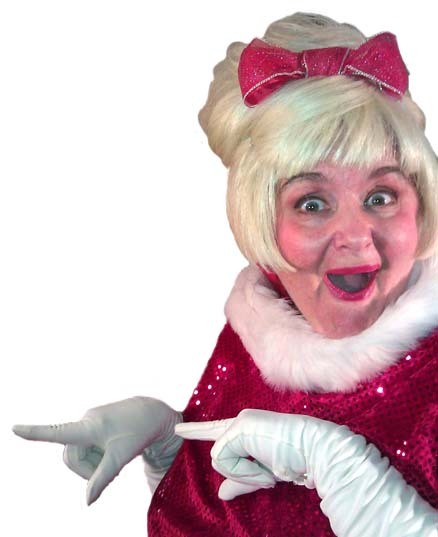 Decked-out in red-flare finery and white bouffant hair style, she's the original Desperate Housewife. 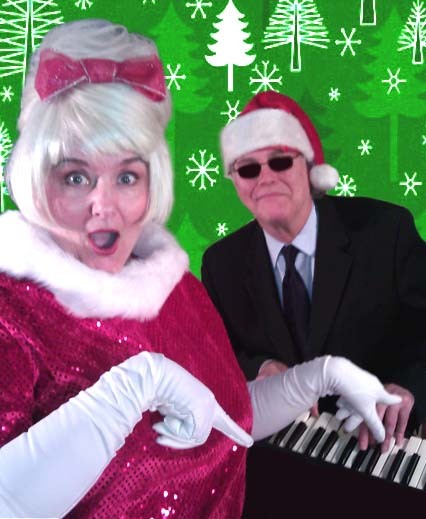 Her lonely laments are hilarious, and she's swinging the all-time hippest holiday tunes in cool 60s-style jazz. Roast Your CEO or a key player in Management! more traditional... but just as much fun! dance if the holiday spirit moves them.